Only 14 and 15 years old at the time, GRADE 2 met at school spending countless lunch breaks playing together in the music room covering classic punk tunes. This eventually developed into performing at local pubs and venues whilst starting to write original music. Contra Records started working with them in 2014, releasing their first official EP ‘Broken Youth’ and sending these teenagers from Isle of Wight (UK) on endless tours across Europe garnering acclaim and exposure. 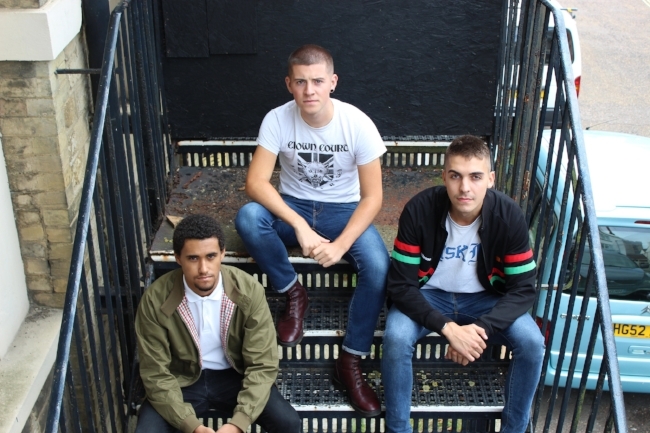 Because of their age they are often (jokingly) referred to as ‘Oi: The New Generation’. However the band’s sound reaches far beyond the confines of just street punk and oi scenes. Imagine if a young Paul Weller wrote songs for Angelic Upstarts or The Business, and you have GRADE 2. The band continue touring across Europe, playing to increasing crowds and supporting higher profile tours thanks to the success of their debut LP “Mainstream View” and the follow up “Break the Routine” (both now released in the US on Pirates Press Records) With the US now in their crosshairs GRADE 2 will continue to grow and climb to new heights. Keep an eye out for them.